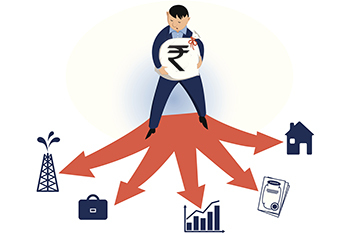 If your investment is well guarded against all threats, it makes investing even more fun and fruitful. No long-term investor should venture into any form of investment without a risk mitigation plan that helps secure and meet investment and financial goals. When making an investment, you will be taking some risk. While it may not be entirely possible to avoid all risks, there are several ways you can use to secure your investment. If your investment is well guarded against all threats, inestment is even more fun and fruitful. No long-term investor should venture into any form of investment without a proper risk mitigation plan to secure and meet investment and financial goals. Discussed below are some of the common investment risks coupled with some suggestions to help you curb the risks. This is a common risk in stock market investment. When making an investment, you expect the stock to make a bull or a bear move based on certain predictions and analysis. If the stocks go against you and below your principal amount, then you stand to lose some of your principal amount. Unfortunately, it is impossible for you to eliminate the risk of losing your principal. On the other hand, there are several ways you can reduce the impact on your portfolio, which include: owning several stocks, bonds, and other forms of securities or any other type of investment. Diversification does not always guarantee profits or protection against losing your principal. This risk brings with it mixed effects on your investments such as bonds or other forms of fixed investment. For instance, if you invest in a bond that pays you at 4% and the interest rates go up 1%, then you will see the bond value drop, as investors are unlikely to pay a full price where new and high yielding bonds exist. You can avoid this risk by holding your bonds until they reach maturity and by doing so, you get back the full principal invested. At the same time, you will continue receiving your interest rates unless the bonds are repurchased by the issuer. Similarly, you can apply call protection measures by owning bonds that come with different maturity dates.